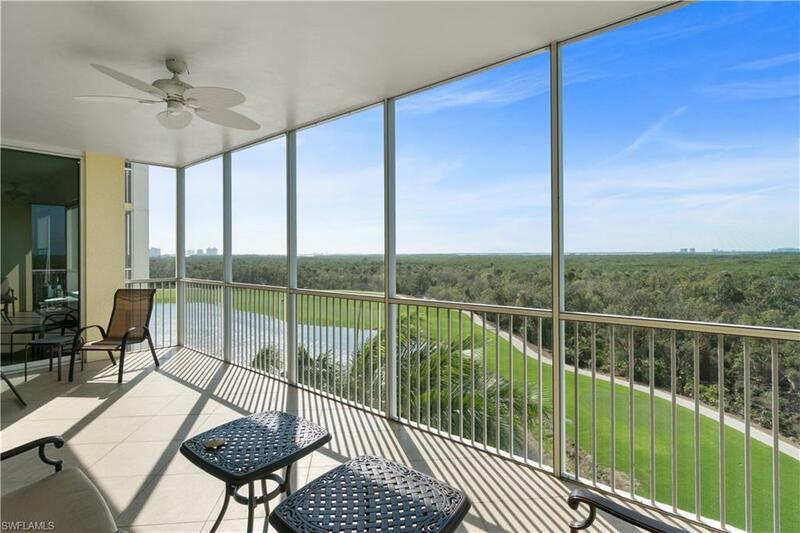 This light and airy 3-bed, 3-bath, 5th floor condo in Jasmine Bays North Tower in West Bay Club offers expansive private sunset views over lake, golf course, and preserve to Estero Bay. 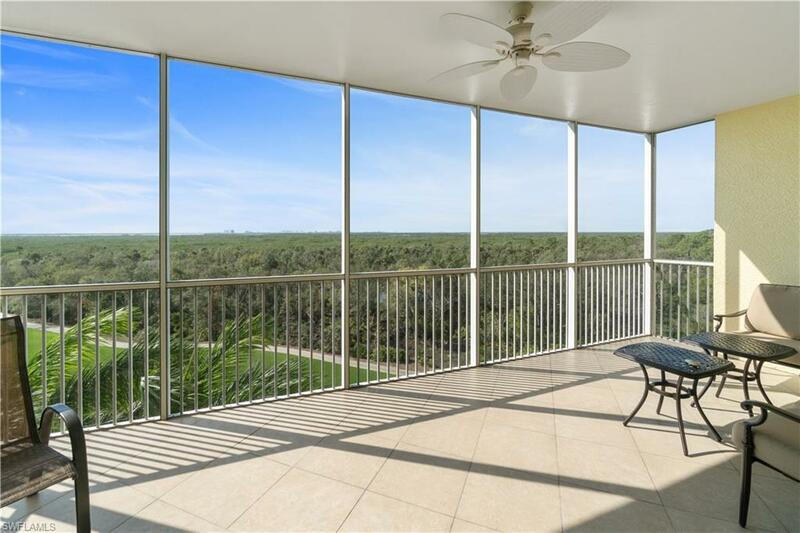 Upon entering the condo, from its private elevator foyer, the eye is immediately drawn through the welcoming living and dining areas, to the tall glass sliders, the spacious tiled balcony, and the gorgeous view beyond. 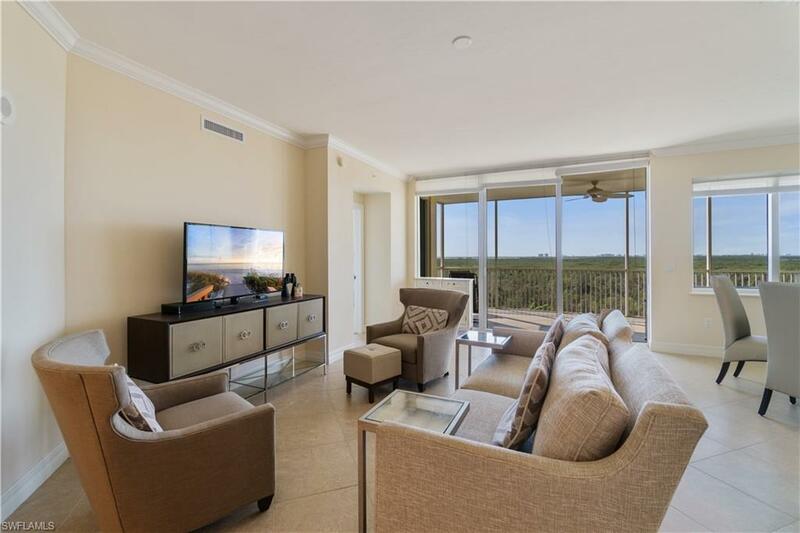 The open kitchen features light cabinetry, stainless appliances, ample granite countertops, and coffered ceiling. The master suite offers sliders to the balcony and view, his and her closets, and spacious bathroom. A second balcony is accessed from the larger of the two guest rooms. Additional features include neutral tile flooring on the diagonal, light wall tones throughout, and crown molding. 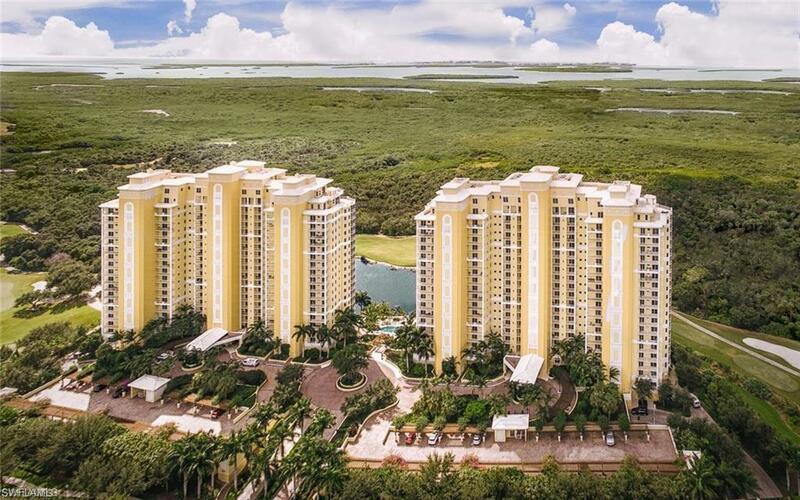 The West Bay Club lifestyle includes a wide range of amenities including private golf (the course recently underwent a $4m renovation), tennis, full-service beach club on the Gulf of Mexico, fine and casual dining, resort-style pool, fitness center, sports park with pickle ball, dog parks, River park with boat ramp, and kayaking.